The Church on Spilled Blood, in St Petersburg, Russia. Although this building isn't typical of the architecture in St Petersburg, it was exactly how I thought a Russian church would look. This church is sometimes called "Saviour on Blood" and was designed by Alfred Parland and Ignatiy Malyshev. 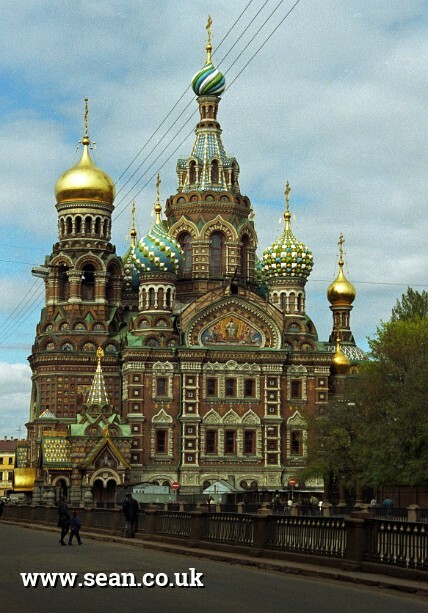 It dates back to 1881 and was built as a memorial to Alexander II, on the site of his assassination.